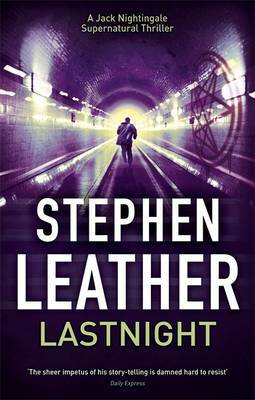 This incredible new book by Stephen Leather opens with Detective Police Superintendent Ronald Chalmers attending a post-mortem of the body of the late Jack Nightingale the protagonist of this story. He asks how he died and is told from repeated blows to the back and top of the skull from perhaps a hammer. He asks can you be positive that this is the body of Jack Nightingale and is assured by the coroner that a DNA analysis confirms it and anyway by that point in the procedure the vital organs and brain of the deceased have been removed! We then go back in time two weeks and we learn that Jack Nightingale is asked to go to New Scotland Yard by some detectives. When he gets to the Yard and into the presence of his nemesis, Detective Police Superintendent Ronald Chalmers, he is asked to help out in a murder case which was proving very difficult for the attending detectives to solve. Jack is considered to have certain specialist skills that the police wish to employ. The bodies of five murdered Goths have been discovered all over London and not only were they dead but the killer had skinned and butchered them. Some of the Goths were male, some female, some gay, some straight. Nightingale who was working at the Yard before he resigned three years previously to become a private detective, agrees to look into the case and starts by interviewing all the victims' relations, he discovers after some difficulty, that the one thing the victims had in common was that they all bore a tattoo relating to a secretive Satanic child-sacrificing cult called the Order of Nine Angles. The more Nightingale discovers, the more danger he finds himself in and he is shocked to learn that people close to him, are being attacked as well. It seems that The Order of Nine Angles will stop at nothing to protect its secrets and there is very little that Jack can do to protect himself. The book rushes on to it's breathtaking and amazing conclusion. This extraordinary thriller, like the others in this series, is very reminiscent of the satanic novels of the late Dennis Wheatley, which Leather has acknowledged previously, but this author's stories are extremely innovative. The author has applied his usual in-depth research techniques to his subject very well and makes reference in passing to elements to do with Satanism, but it is all fully explained. I could not find anything to fault with this book. All in all, though this is quite a long book, as the author likes to write in such an engaging plot-driven and very exciting way, the pages just flew by; I was so gripped by the desperate race to see how Nightingale could cheat death I could not put it down. The quite astonishing and completely unpredictable ending of this outstanding story was so incredibly imaginative, that I cannot wait to see how the next book in this series, by this very versatile and prolific author will be tackled. The author seems to be producing a "Jack Nightingale" supernatural thriller book as well as a Dan "Spider" Shepherd, the ex-SAS supercop per year. I wonder whether he can keep up such a pace and be as innovative and write so imaginatively as he is doing at present? I cannot wait to read the next instalment of this exciting series. Highly recommended.